Today’s economy means that more and more people are having to consider moving for the sake of a new job. However, if this happens to you or your ex-spouse after a divorce, it may create issues with visitation (and even child custody, in some cases). It is critical to understand the law in this kind of situation, so you and your ex-spouse can come together on an agreement that is best for all involved, especially your child or children. If you and your ex-spouse already have a custody order in place, as most divorced couples do, there are essentially two outcomes when one parent wants to relocate with their child/children. The first is that the nonmoving parent gives consent to the move, and completes a written statement of that fact that can be presented to the court. The second is that the nonmoving parent refuses their consent to the move, and as long as there are reasonable motives behind the refusal, they cannot be disciplined or otherwise punished by the court for it. The majority of relocation cases follow this specific pattern, with more or less litigation and negotiation on the way, depending on the people involved. In rare cases, Nevada courts will accept a parent relocating with a child without going through this process. The majority of the time, however, many will likely result in child abduction charges. 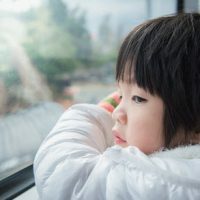 If you are able to show that your child(ren) are in “imminent danger” from abuse or neglect, and that you reported your flight to the relevant law enforcement agency, you may be able to argue that such flight was necessary. If the nonmoving parent does refuse to allow the move, you may be able to petition the court to allow it to happen anyway. Generally, the primary questions are whether or not the moving parent will honor a modified visitation agreement, and whether the move is in the best interests of the minor child, not just the interests of the parent. The applicable factors are laid out in the Schwartz case and codified in NRS 125c. All good parents want the best for their children. However, sometimes, ‘the best’ is in dispute, especially if it means moving far away from one of their parents. To fully evaluate your case, contacting an experienced child relocation lawyer is critical. The attorneys at the Kainen Law Group are happy to help answer your questions about the process to the best of our ability. Please call us today to set up an initial consultation.